If you’re sending customer satisfaction surveys to your customers, we have good news! As a part of our Advanced Reporting initiative, we’ve released an advanced reporting widget in our dashboard within our Customer Experience platform. 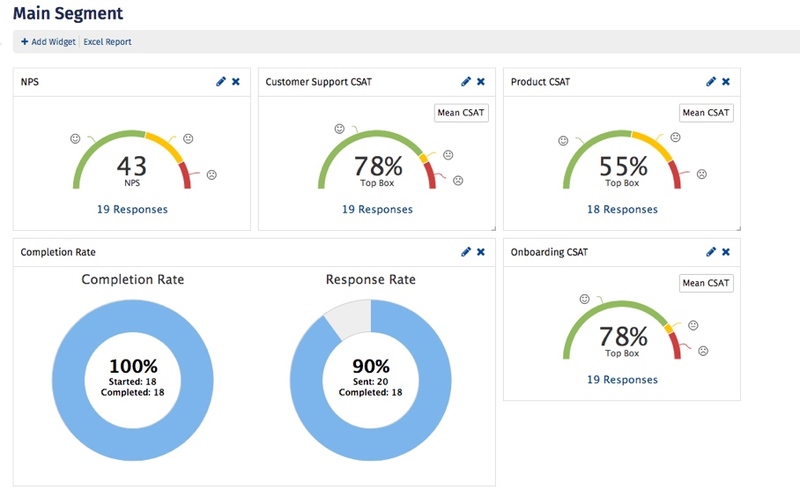 Add your CSAT question type into your survey as you normally do, and with a few clicks of your mouse in Analytics, you can see your CSAT summary in a widget within your custom-built dashboard. We’ve built the reporting to calculate the Composite CSAT Score, also known as the Average score. You can also choose to report your CSAT in Top-2 Box Score. To add the CSAT reporting widgets into your dashboard, go to your Analytics tab. Click on “Add Widget” and select “Survey” as your widget type, then choose your desired CSAT survey. Once you save, your CSAT reporting widgets will appear in your dashboard. Building an automated customer experience program with the right partner matters. Contact us today to learn how to get started and begin your trial account with SurveyAnalytics.